In times past, pink and blue were two of the most popular nursery colors. In 2019, white is the top colour for decorating a new baby’s nursery, according to House Beautiful. They’ve even reported on Valspar’s most popular white paint color in the UK, which is a grayed-down, faintly blushing white known as “Rabbit’s Foot”. When babies have matured enough to observe animals, the babies are frequently charmed and intrigued by them – so animals make an ideal type of theme for a baby’s room. There are countless fun variations of animal-themed nurseries to try. A few choices include safari animals, coral reefs with fish, farm animals or woodland animals. Nature-themed nurseries are another top trend in 2019. It’s currently trendy to decorate with houseplants in every room in the home. In the nursery, health-conscious parents are discovering that houseplants can not only beautify baby’s living space, but they also help to purify the air and make a healthier environment for baby’s growth and development. 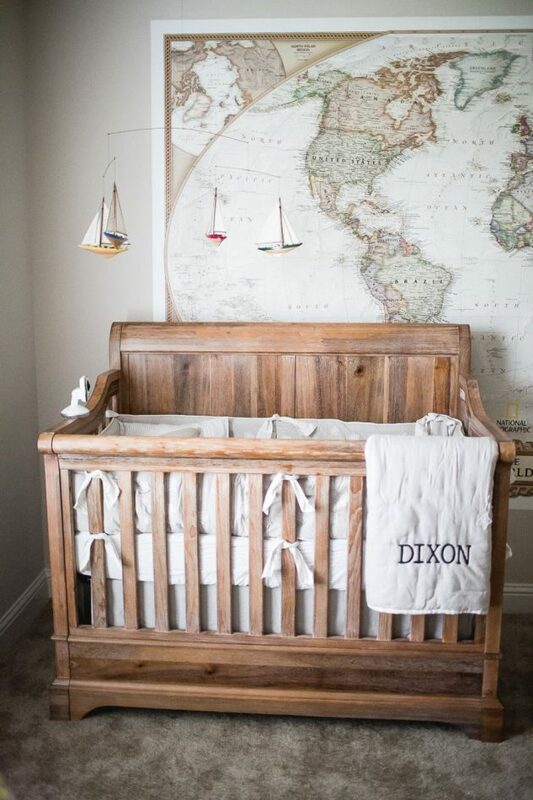 Homfurniture.com reports that other popular inclusions in the natural-themed nursery might include jute rugs, organic cotton textiles and large floral imagery. Parents can add florals using wall art, textile print designs and wall decals. You wouldn’t think people would have to be concerned about the safety of baby furnishings. Manufacturers shouldn’t be allowed to sell nursery décor items that are toxic – should they? As it turns out, you do have to be concerned – and people are discovering this astonishing fact in droves. Nursery décor is frequently made using medium density fibreboard (MDF) or particle board, which can contain toxic formaldehyde and other undesirable substances. Synthetic nursery carpeting can contain alarming numbers of toxic solvents, dyes and finishing agents. Baby mattresses can contain toxic flame retardants and other volatile organic compounds (VOCs). Numerous parents are discovering they must be proactive about researching the safety of every item they put in the nursery, from the rugs on the floor to the materials baby’s furnishings are made from to the mattress they place in baby’s cot. These are not just concerns that affect the nursery. In fact, the “healthy home” is one of the top global trends for home design in 2019. 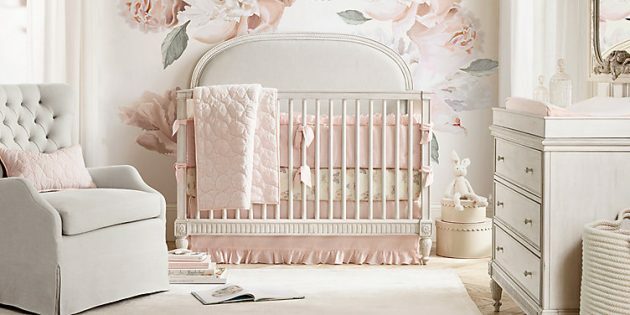 Last year, when the Duchess of Cambridge gave birth to Prince Louis Arthur Charles, the royal nursery décor sparked several new trends that other parents have been emulating in their little ones’ rooms ever since. One of the top trends: lavish crown motifs, often portrayed in silver or gold. The royal nursery also included an opulent chandelier, shades of baby blue and curvilinear furnishings; curvy furniture is another top trend for 2019, not only in the nursery, but in every room of the home. 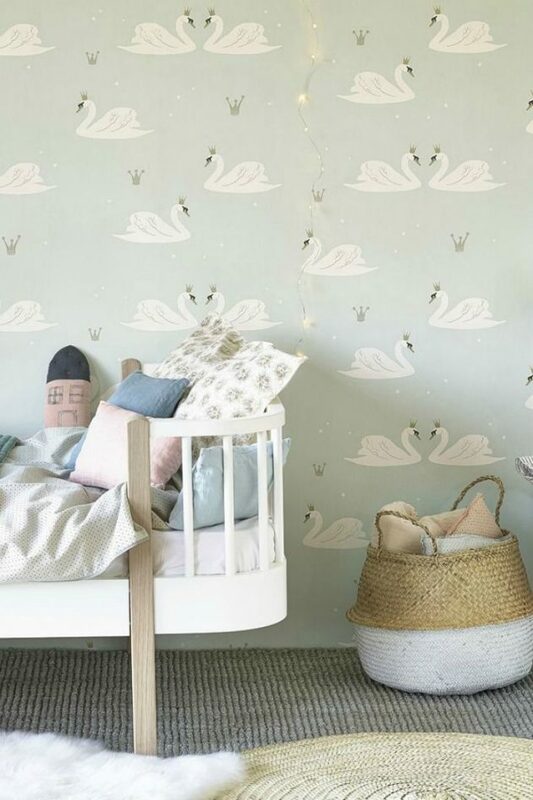 So now you’re updated on 5 of the most influential nursery décor trends that are current for 2019. If you’re a parent or a parent-to-be, we hope these insights are helpful to you as you consider the furnishings and accessories you’d like to include in your little darling’s nursery.